Very exciting news! Net CyberSolutions, LLC keeps growing and we are now Pakedge dealers for Control4 systems. 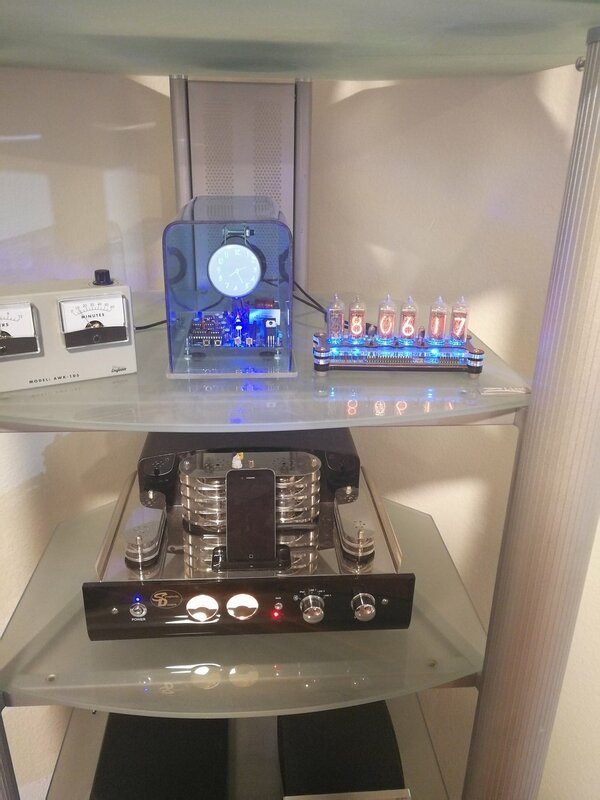 If you are A/V and/or Home Automation installers and need a company with over 25+ years of experience in designing solid, bulletproof networks that are guaranteed to work with your systems, please contact me at 407-670-9839 or 407-620-1768. A solid, strong, and flawless network is the essential backbone to any A/V and Home Automation System. Without that solid backbone, your system simply will not function properly, which just makes everyone, including the system brand look bad. Our job is to make sure that your company and the brand we represent maintains the excellent reputation it deserves. When it comes to Network Design, we are the Network Engineers you need on your team. We'll get that next year, right? Maybe the next? Well, Huawei can definitely say that to these two phone giants because they have jam packed features into this phone that neither of them have been able to do. Huawei has also made it fairly simple to connect guests to your wi-fi network using a simple QR code. So, if you have a long and complicated password, connecting guests to your wifi is as simple as a click of a button. Easily generate a QR Code to connect your guests to your wi-fi network. 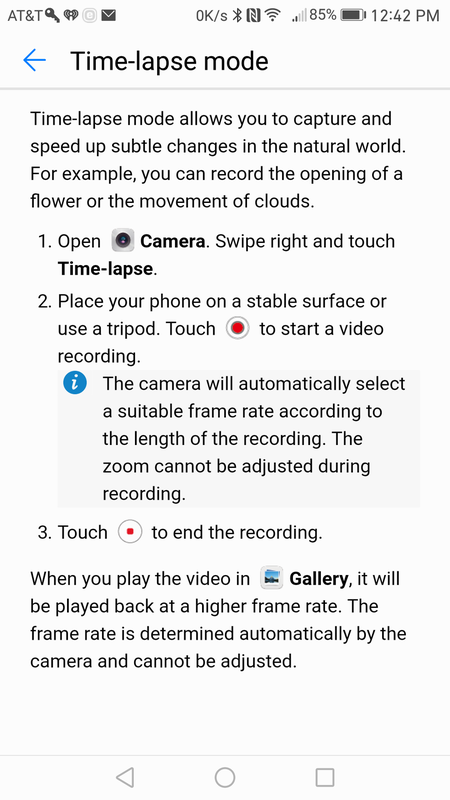 As you've seen, I have been able to record all of these actions directly from my screen, and doing so is very, very simple. 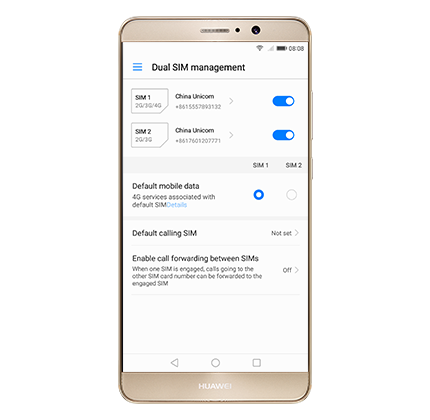 Huawei has made it extremely simple to export data from your old phone to the Mate 9. HiSuite is their program that you would download from their website, which allows you to back up the data from your old phone to your computer. 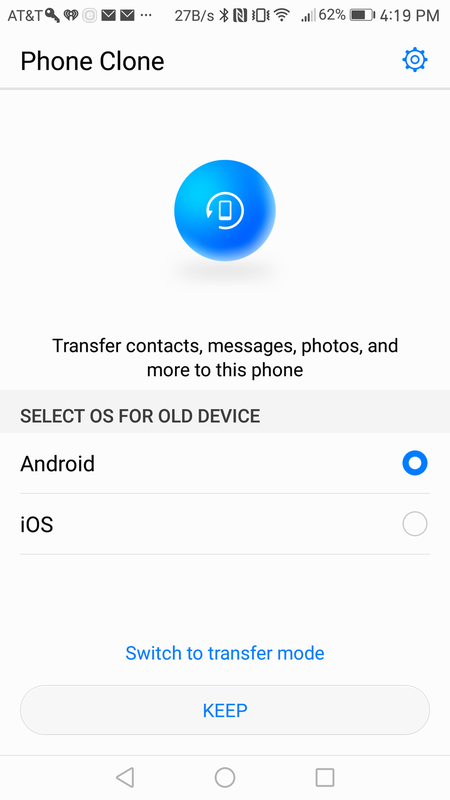 Or, if this is too tedious, you can always use Phone Clone. You can find this in the app store for both Android and iPhones. This app generates a QR code that you will scan and your data begins the transfer process. 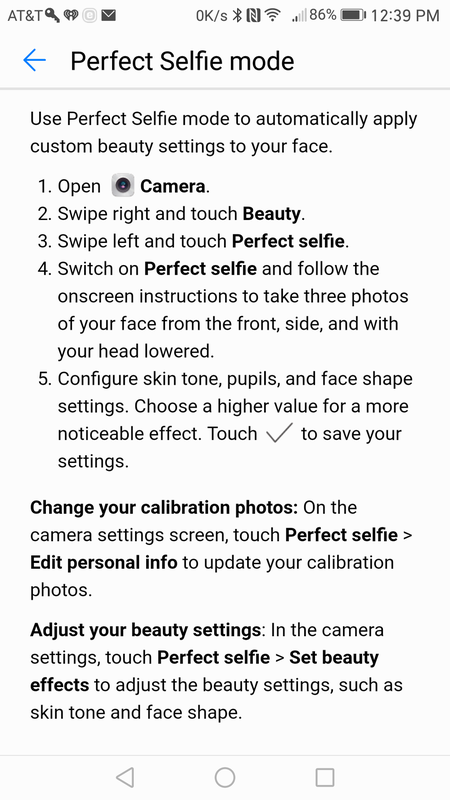 Huawei has also added a lot of interesting features to the Mate 9. Adding Watermarks that detail time, dates, locations, temperature, altitude, etc is just one interesting feature. Smart Controller features an infrared sensor that pairs with devices in your home to control them all from one local place. You can pair TV's, Set Top Boxes like your Apple TV or Roku, Air Conditioners, Network Devices, Cameras, and Projectors. 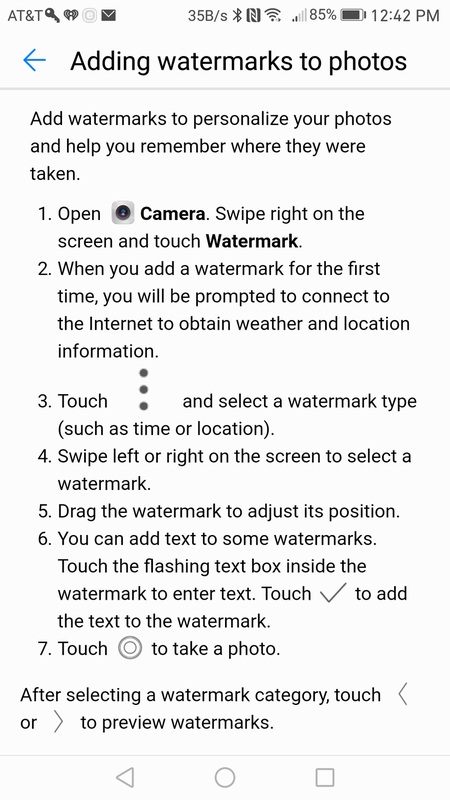 Hope you enjoyed these tips and tricks and I'll make sure to pass more along as I continue exploring the Mate 9. 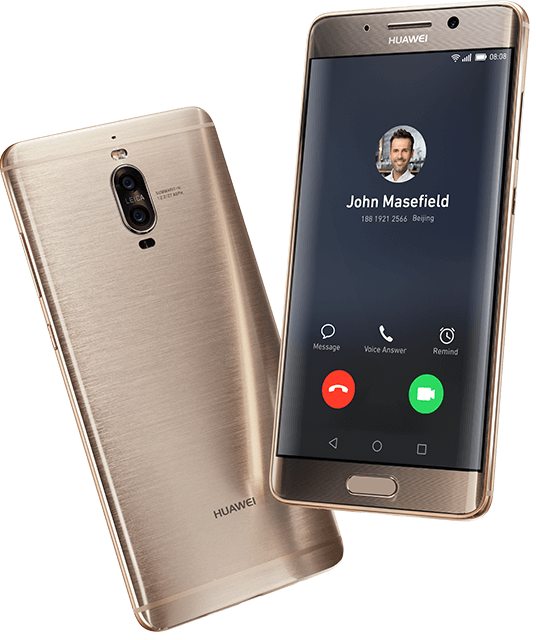 Huawei has finally released the Mate 9 and without hesitation, I had to immediately run to Best Buy and get my hands on this amazing phone. Let me say that I was previously an iPhone owner for many, many years since the iPhone 3G came out. After having the Apple 7 Plus for a month, I was bored and fed up with their rehashing of old technology and removal of things I NEED like a headphone jack. I sold my iPhone and bought a Samsung S7 Edge. Needless to say, that phone lasted a whole 60 days before I bought I got my hands on the Huawei Mate 9. I should also mention that when I bought my S7, I also bought the Samsung Gear watch. That went back to the store less than 12 hours later where I exchanged it for the Huawei Watch. That, by far, has been the best decision I ever made and why I decided to buy the Mate 9. The Huawei Watch is a stunning piece that makes full use of the large round screen, is extremely responsive, stunningly gorgeous, and gets compliments all of the time. 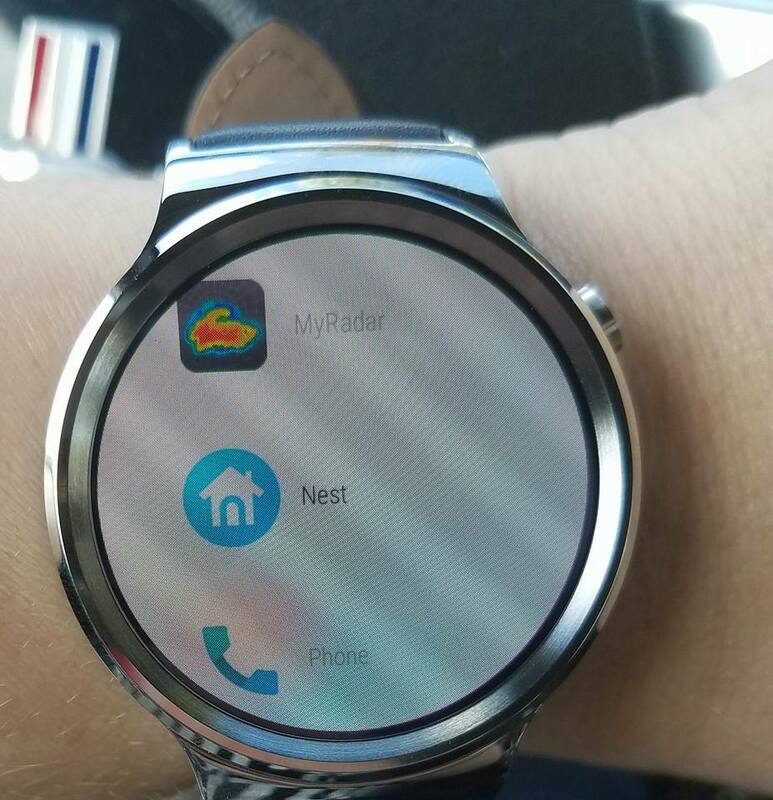 People can't believe that they can get such an amazing smart (and I do mean smart) watch at such an affordable price. As I mentioned, having such a stellar experience with their watch, I decided that I would give their Mate 9 a go. AMAZING! The design and engineering on this phone is by far the best I have seen in any smart phone. I especially love the fingerprint reader on the back because it's what makes the most sense at least to me. When you grab a phone, your index finger is precisely where the reader is and it seems that Huawei had that exact thought in mind when they put their sensor on the back. The responsiveness of the fingerprint reader is instant. Oh my, the camera! Holy (something I can't say here)! The capabilities of the camera are out of this world. Let's face it, they have partnered with an industry leader in optics, lenses, and photography. I'm familiar with the Leica brand due to the scanners they design, which forensic investigators use to preserve crime scenes. With that said, I knew that the camera had to be rather spectacular, and indeed it is. They have incorporated a second-generation Leica Dual Camera with a 12MP RGB sensor and 20MP monochrome sensor. This allows the cameras to work together to capture the absolute fine details of an image. The RGB sensors capture vivid colors while the monochrome picks the fine details, creating bright and crisp photos. You can make on screen adjustments prior to taking a picture by focusing on an object and then another circle on the screen allows you to focus the light elsewhere. Once your picture is taken, the editing capabilities are out of this world. Also, this has the capability to shoot in 4K. I can definitively say, that this is by far the most impressive smart phone I have had the pleasure of laying my hands on. Also, for someone like me, a business owner who is always out and about on projects, it's absolutely pointless to have a business line in my home office. Well.....wouldn't you know that you can have 2 sim cards in this? 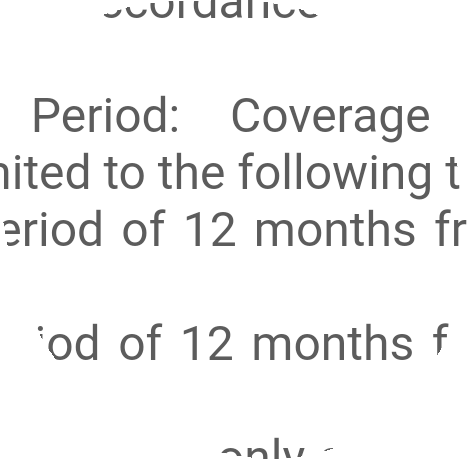 I was beyond excited because now I can completely separate my personal line from business line. Now, if you're one of those who feels turned off by the 1080p display.....DON'T! The colors a vibrant, the images are sharp, and with the 5'9" FHD display you will not even notice the difference. 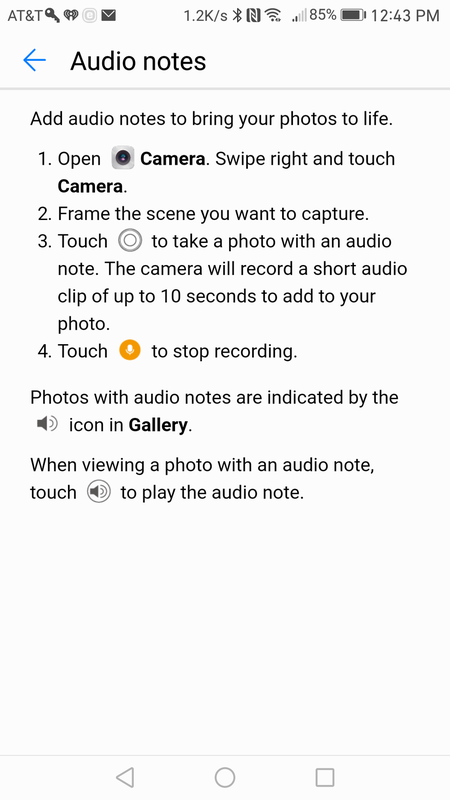 For audiophiles, like my husband and I, this phone fully supports flac (file and decoding). This is a very big plus. The Mate 9 also has a 4000mAh battery that under normal use can last up to 2 days. Granted, not the biggest in the market but the reason those others can do that is because they lack features that the better named brands have, including Huawei. Even when you look at these other brands such as Samsung, LG, Sony, Microsoft, etc. they come in at 3,000 mAh. The iPhone 7 Plus is rumored to have only 2,900mAh but good luck finding that on their page. The stats come from a MacRumors teardown of the phone. So, with this said, the Huawei Mate 9 definitely gives its competitors a run for its money. 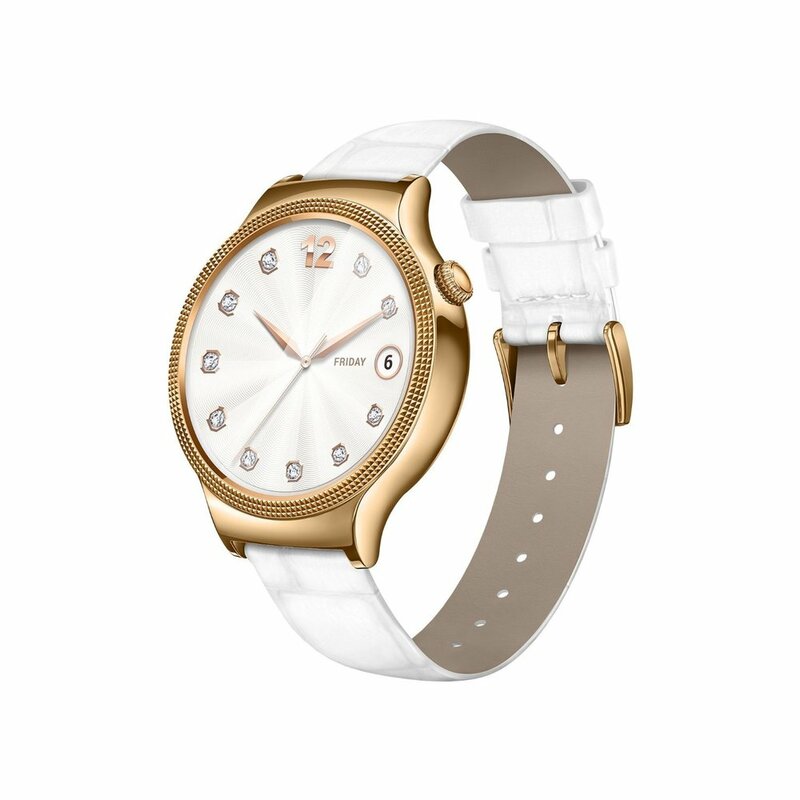 Now, Huawei has done something with the Mate 9 that completely impressed me with the Huawei Watch, and that is their packaging. Now, I know...it's only packaging. 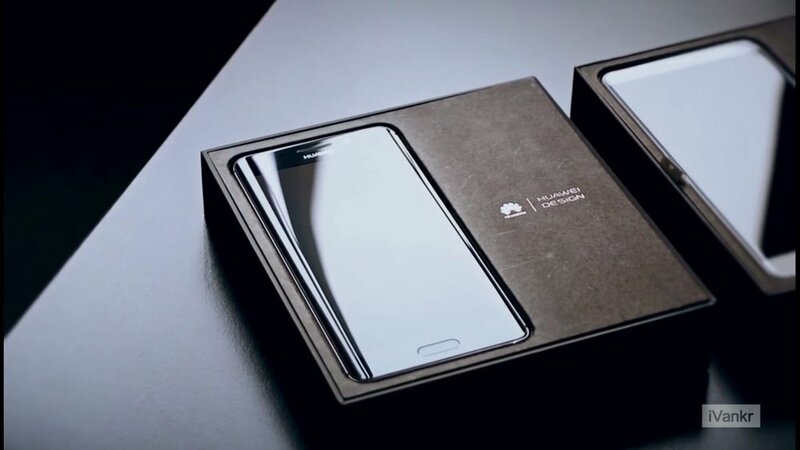 However, it is very elegantly packaged giving you that high quality feel that the phone does actually have. Also, it appears to already have a screen protector in place, which is very nice, as I can never get those things on properly myself. Huawei has also included a Matte Case, which is nice because it protects the back of your phone without making it bulky. Overall, I think that the Huawei Mate 9 is by far one of the best quality phones I have owned. 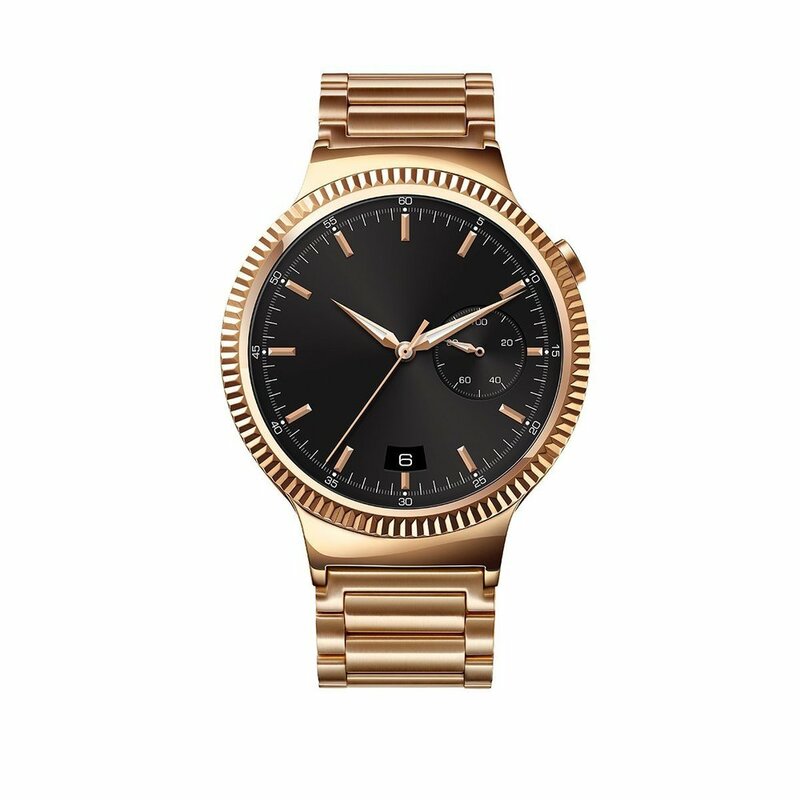 Paired with the Huawei Watch, it is absolutely perfect and exactly what I have been looking for in my quest for a smart phone and smartwatch that meets all of my needs and expectations. Phone and Watch both on. Now, let's talk price. The Huawei Mate 9 costs $599.99 at Best Buy for the Space Gray and Moonlight Silver. These phones come fully UNLOCKED but will only work with GSM carriers in the U.S like AT& T and T-Mobile. I have only seen the other colors available on Amazon but they are International versions. The Mate 9 does have other versions such as the Mate 9 Pro that can run you a little over $850. It is quite similar to the S7 edge in design and so far I have only seen International versions of that as well. 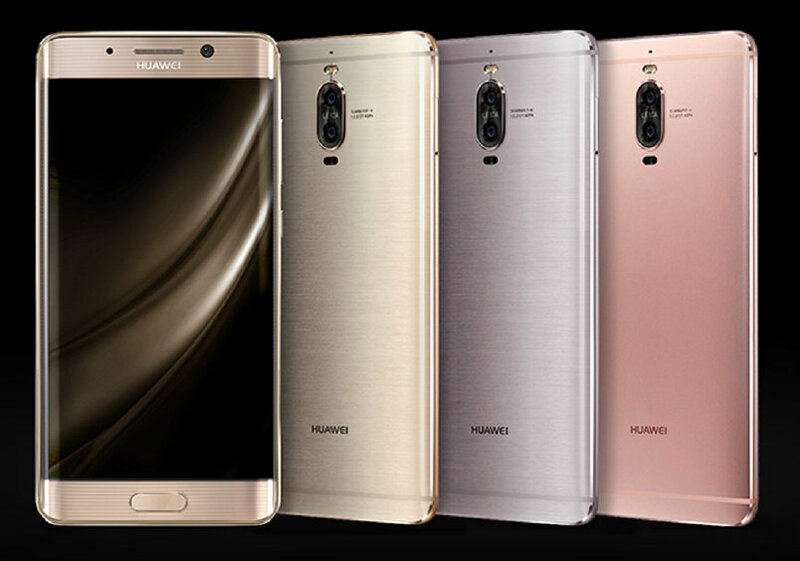 Huaweie went the distance and partnered with Porsche to create the Porsche Design Huawei Mate 9 Luxury Edition at $2,800 on Amazon for the Internationa version. This model has 6GB Ram and 256GB ROM with a 5.5" Curved AMOLED Display, which also resembles the S7 Edge. Please feel free to leave questions or comments and I hope you enjoyed this review. Today we scored a minty Apple IIe. I'll admit, when this came out, I was 7 years old so this machine made me feel like a bit of a dim bulb when I first turned it on.....as you'll clearly see. Oh, and don't mind my cat's appearance. New things are intriguing to him and he feels the need to be in the middle of it all. We will continue to upload videos as the project goes on and show you our upgrades. Hope you enjoy! The long anticipated Apple Event will be taking place on September 7, 2016. Apple plans to reveal several new models of their current products along with all new operating systems (iOS 10, MacOS Sierra, WatchOS 3, and Apple TVOS 10). Rumors of new iPad and MacBook reveals have been whispered here and there. However, in typical Apple fashion, we are sure that this event will focus mostly on the much talked about iPhone 7. There have been so many rumors surrounding the iPhone 7, with some saying that they love the new idea and some already jumping ship. Given all of the hype surrounding this event, I am interested in learning what my readers think and have to say. Please take a moment to complete our quick 10 question survey. It should take no longer than 5 minutes and I promise that it will provide you with plenty of information as to what Apple has in store for the new iPhone 7 and iOS 10. Also, stay tuned for an in depth article on September 7th following the event with all of the details on all of Apple's reveals.